Your conversion rates are the one metric that has tremendous influence over your success or failure. 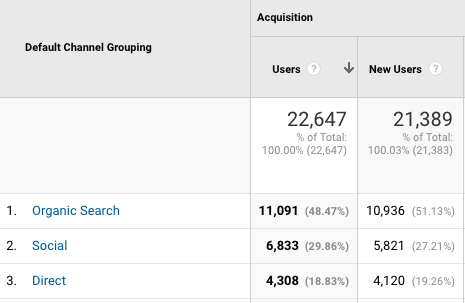 Conversion rates have more impact than all the standard metrics that we all watch and talk about: They are more important than followers, traffic and engagement combined. If you have a ton of traffic to your website, but you convert at zero percent – that means you can have all the traffic in the world you will still not make money. If you have only 100 visitors to your blog but you convert them at 70% that means you have 70 new customers per day – yikes! So when your conversion rates are low – or decreasing, what can be the reason? What should you look for when you are not converting at the expecting rate? The most common reason is something that is fairly easy forgotten. You may jump right on the optimization train but do not check if people even COULD buy your product even if they wanted to? What if a link leads to an old and no longer existing checkout page? What if a link is not working at all? What if a call-to-action button was misplaced? What if the landing page design somehow is broken? What if the website is overly slow? There is so much that could be wrong that has nothing to do with your product or your audience. I have seen a lot of that. Even if everything worked fine a week ago if your data shows funny things check your website! Sometimes we firmly believe that we know what our audience wants and needs. And we try to improve our products to make them even better for our potential customers. But sometimes that goes wrong. Sometimes we make changes to the product and lose the one argument that made them buy before. If you changed the product and your conversion rate goes down: check if your change of product could be the reason. There is much more to pricing a product than the absolute cost. People can perceive your product as expensive if a similar product costs much less. If a new product enters the market your pricing might suddenly need an update. Also – how you present your price plays a role. If you offer one price that is one thing. But you may want to consider to offer your products in a number of different packages. Thus making the package you want your audience to buy seem “cheaper” by showing it side by side with a much more expensive option. Or you could offer a special price (give a reason why this offer appears here) and show the “original” price besides the offered price. Many people fall for the special offer out of fear to miss it. 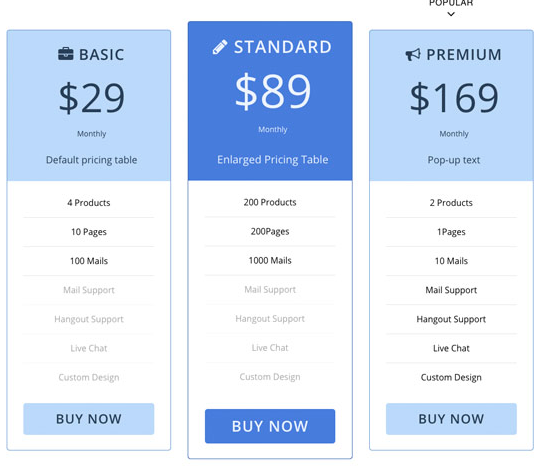 Pricing is crucial to conversion rates. But presentation and perception of the pricing can be just as important. Sometimes we think we learn more about our audience. We change the description of a product, add some sentences about a feature that seems important – and may just lose focus on the one aspect of your product that made people buy it. The text on your landing age and even on your checkout page is as crucial to the conversion rates as the product itself. Are you aware that even the color and the placement play an important role in your conversion rate? Maybe you have a new color scheme on your blog and now your call to action is blue instead of red? It could just make all the difference. How should your customers click their way through your website? Did you change anything? Is there one click more than they have to take? Did you eliminate a page? Did you change the design? The colors? There is so much that can change and have an impact on your conversion rates. If you see a decline in conversions, check back what you changed and analyze if that could be the reason why you are getting less new customers. If fewer people find you on the web you are likely to convert fewer customers. Often the conversion rate measured as how many of 100 website visitors are turned into customers should still stay fairly even. But with a significant decline in traffic often a change in the brand perception, your fame and the perception of you as an expert also changes. While an increase in traffic from huge to super-huge will often not change the conversion RATES – a significant drop in traffic from medium to low traffic can have an impact on conversion rates. 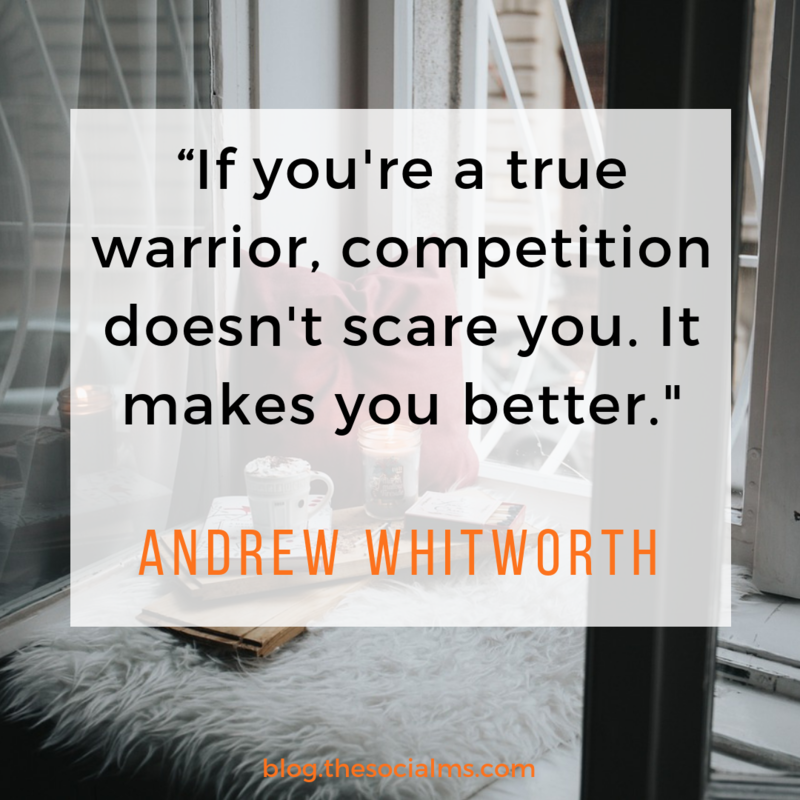 In this case, some guest posting with branding in mind could be a way to not only improve your traffic but also to increase brand perception and expert status. So, you need to work on your traffic? Optimize your traffic channels? Start some new traffic channels? 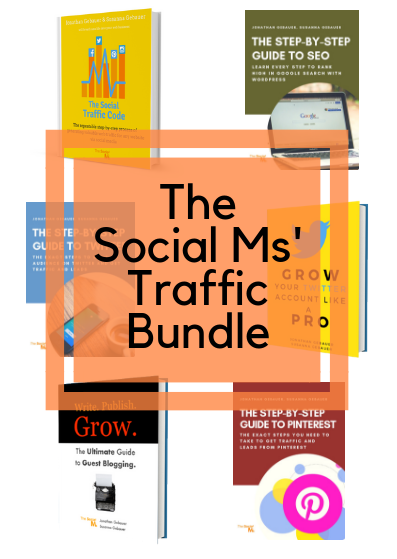 Whatever you plan, here is what you need: The Social Ms’ Traffic Bundle. Six (6!) books full of traffic generation tips: It is all you need – check it out! Traffic from different sources is not all the same. Often the website visitors from one source are harder to convert than from another source. It simply depends on how the website visitors find you and your product. Are they coming to your website right at the moment when they are looking for products like yours or are they just poking around not ready to buy? For example, a Twitter follower will see your tweet in their feed and just click to see what it is all about. But in most cases, this Twitter user was not just looking for what you tweeted – even though it was interesting enough to make him click. On the other hand, a searcher from Google was searching for exactly the keywords that you are using in your content or website. If you did your job right, the search traffic often is highly targeted to the content of the website they get to. That still does not necessarily mean that search traffic is easier to convert: A Twitter follower knows you and trusts you enough to follow you – a visitor from a search engine may be on your website for the very first time and may never have heard of you before. This fact will make a Twitter follower more likely to buy from you than a first time visitor from search engines. Which traffic source converts best for you depends on many factors. However, if your conversion rates change significantly you should check your traffic and the traffic source. If there also was a change this could well be related. This one should b easy to understand: Imagine your product was the only one on the market so far. And suddenly a competitor enters the market. Maybe that competitor even offers a lower price. It’s obvious that you will have a harder time to convert customers in this new market situation. Before you jump right into the action, second guess your data. Are we really talking about conversion rates or was it the absolute number of sales, the revenue or the number of new customers that changed? There is a lot of data that can point at various other aspects of online success. Make sure you understand what your data tells you before you deduce some activity from your interpretation of the data and make things worse. Conversion rates are fickle. Everything you do in online marketing has an impact on your conversion rates. Even your new hairstyle in the newest photos on your blog may influence how your audience perceives you and what you have to offer. 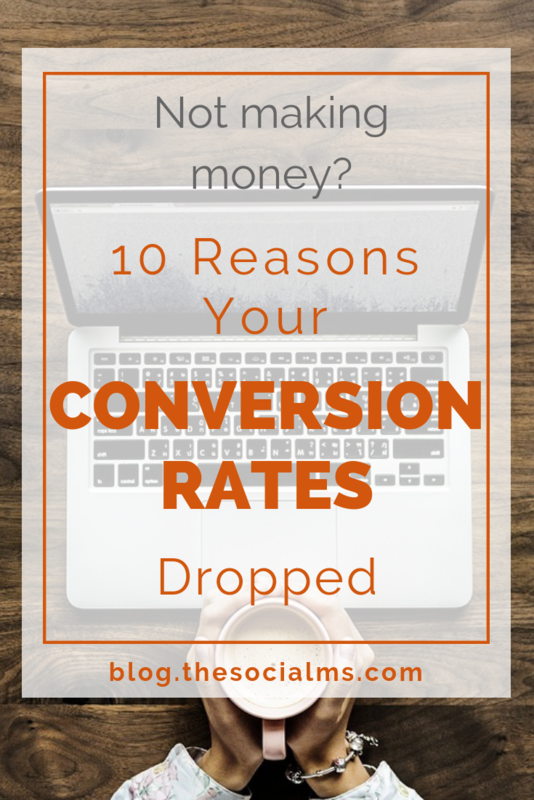 Conversion rates also have a huge impact on your online business or blogging success. As Jonathan pointed out in one of his recent podcast episodes, a tiny increase in the conversion rates can easily multiply your revenues. For the same impact on your blog income, you would have to multiply your traffic. Be careful to analyze what is going on on your website – and change what needs to be changed.